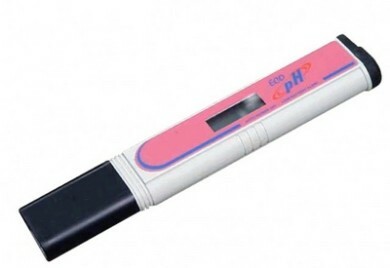 Complete test kit for pH, ammonia, nitrite and phosphate. Comes with liquid for each test, 4 test tubes and holding tray, instruction book and color chart. Individual Refills Available. 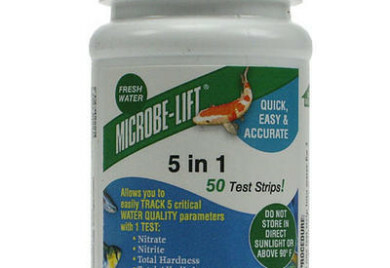 Quick, easy-to-use and accurate pond test strips. 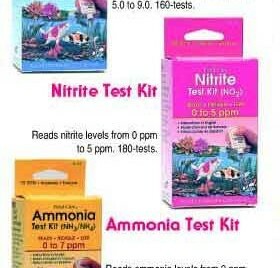 5 in 1 test kit tests for Nitrite, Nitrate, Total Hardness, Total Alkalinity and pH. 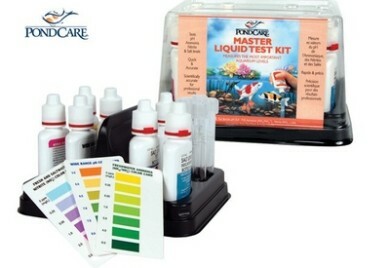 Refills for the Master Liquid Test Kit and Professional Test Kit by PondCare. Can also be used as a stand-a-lone kit. Includes glass test tube with snap on cap, step-by-step instructions and color coded charts.